The mirror is made of metal and glass. It has a cyrstal surface. Maximum open 180 degrees and can stay open at any angle, ergonomic design ready to accompany you. Costom logo can printed with all color. 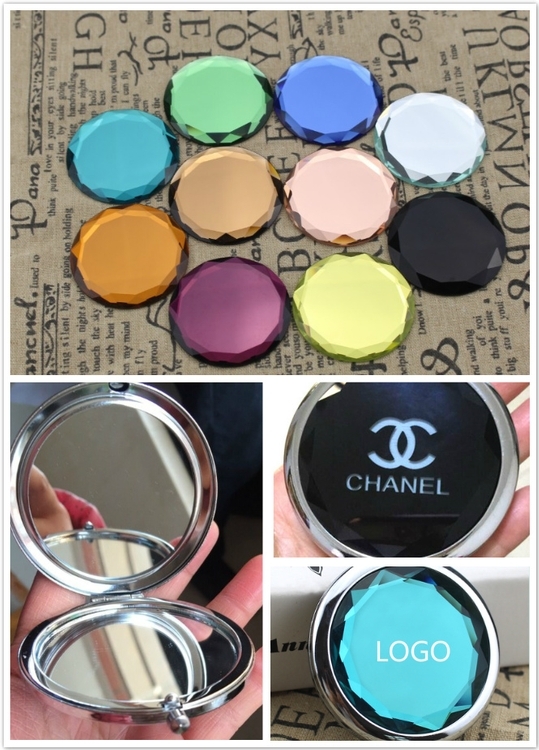 Product Colors: White, Yellow, Purple And Green, Black And Blue, Champagne, Tea, Sea blue.